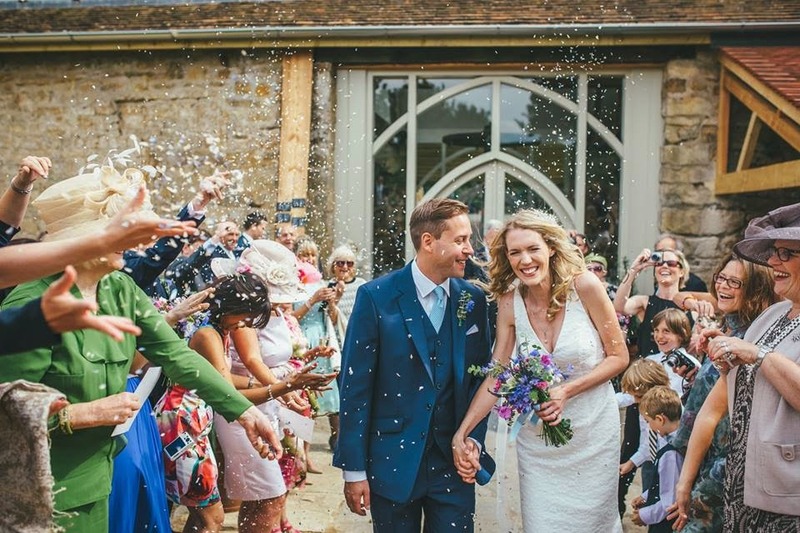 Our simple guide to help you choose your perfect wedding confetti petals! 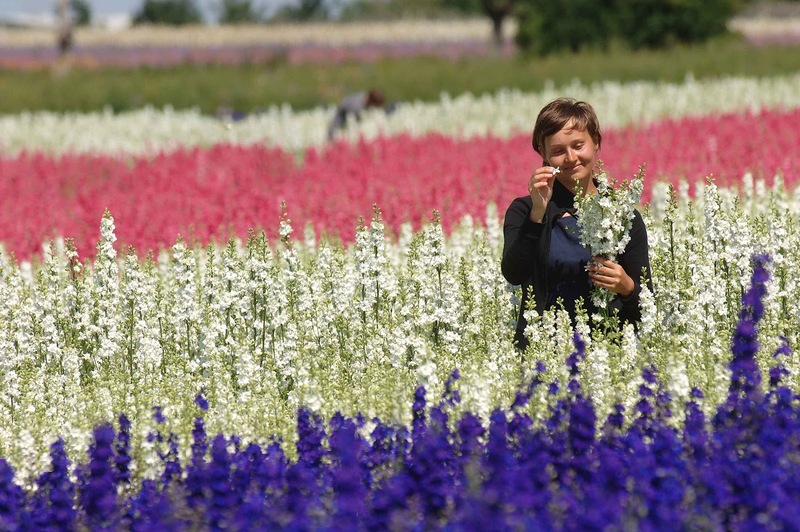 We grow the Delphiniums on our farm in Worcestershire - these petals are hand picked and air dried in the summer sunshine. They are small, delicate petals, about the size of your fingernail! 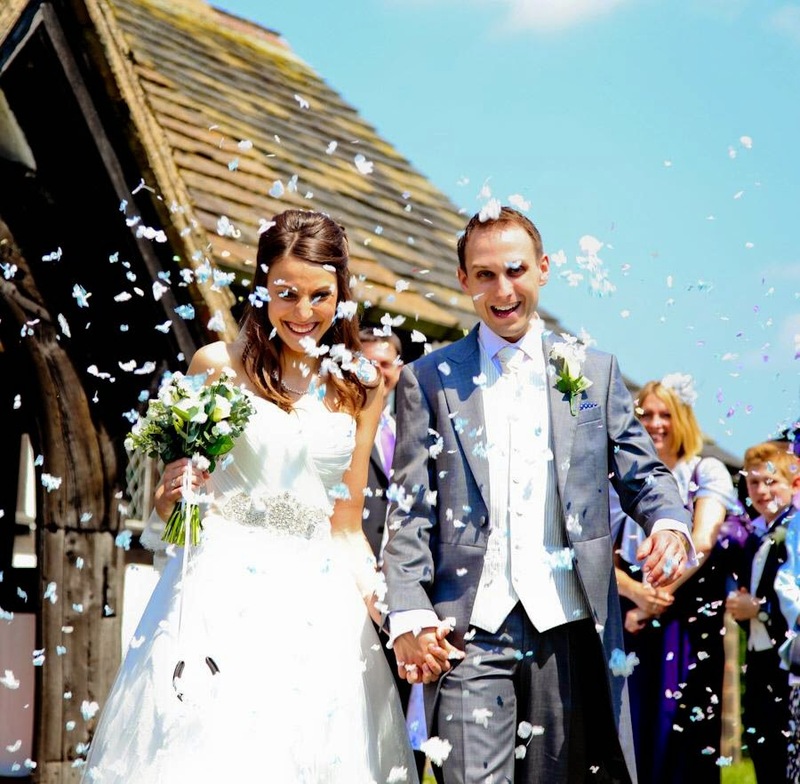 They are light as a feather and flutter down beautifully in the confetti moment. 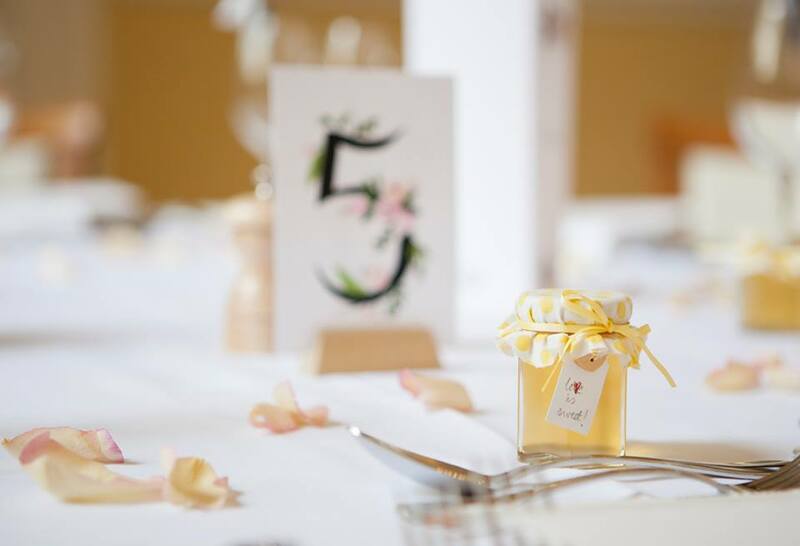 Delphinium petals are great for putting into our confetti cones and placing into a basket or box for your bridesmaids to hand around to your wedding guests. 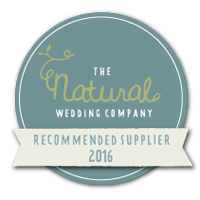 We have five colours of petals and we can mix them in any combination you require (including with our Wildflower collection). 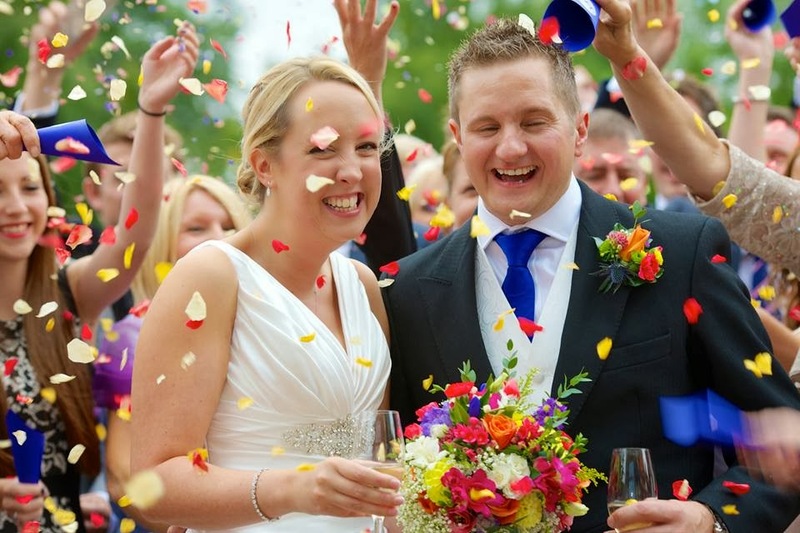 Our 'Rainbow' mix of all five colours is always the most popular confetti choice! 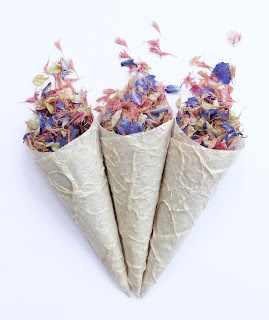 Rainbow Delphiniums in Coloured Confetti Cones - bright and beautiful! 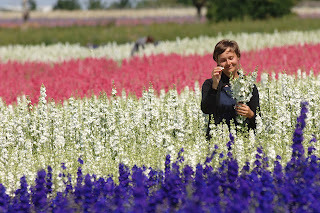 1 pint of Delphinium Petals costs £11.00. 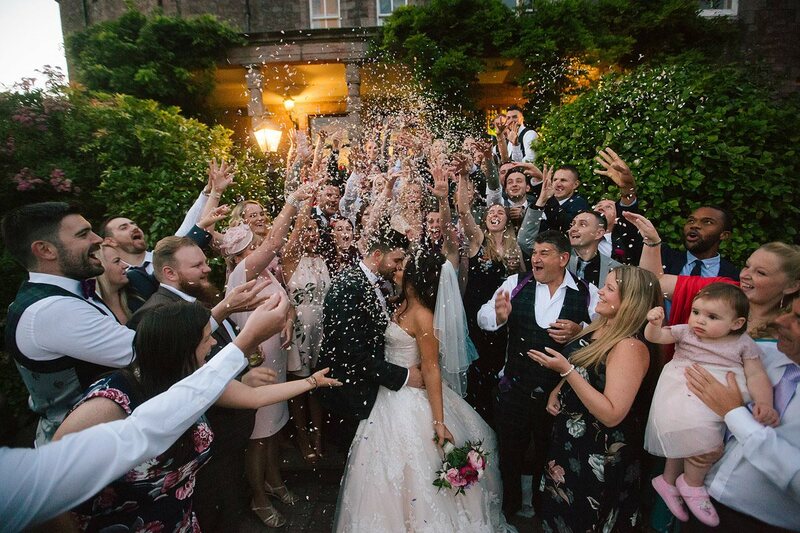 1 pint is 10 closed handfuls - enough for 10 guests - and it will fill 10 Confetti Cones, 10 Petal Bags or 10 Confetti Envelopes. 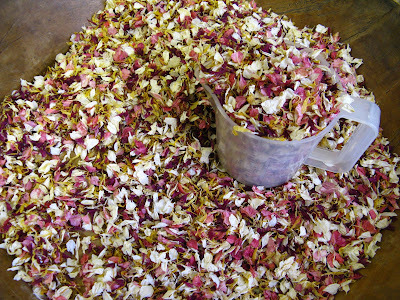 Our Wildflower petals are also homegrown on the farm, hand picked and air dried. 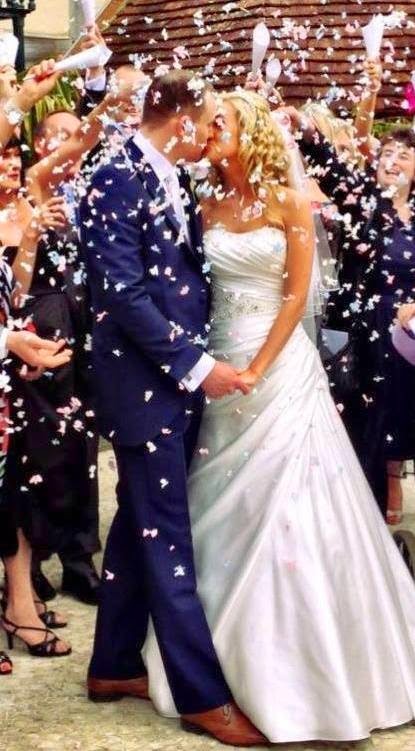 The petals are tiny and make for very good throwing confetti. 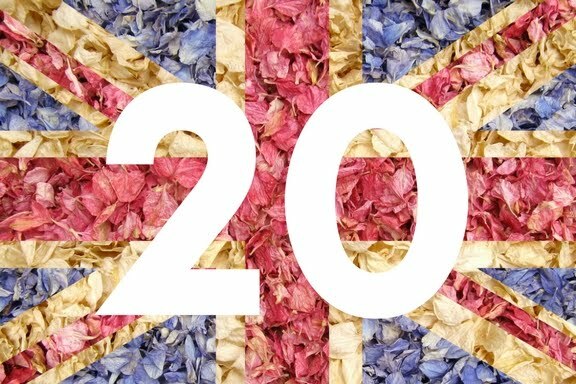 They can be combined with our Delphinium petals and provide you with a bigger range of colours to choose from - they add a lovely texture to the confetti and enable both softer, more tonal colour mixes and brighter, bolder combinations. We really use a pint just to measure out your petals! 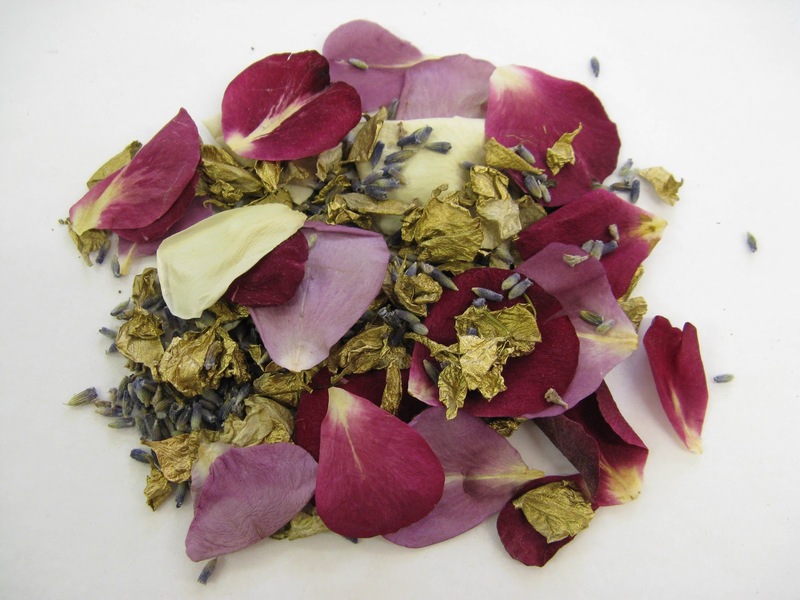 1 pint of Wildflower Petals costs £11.00. 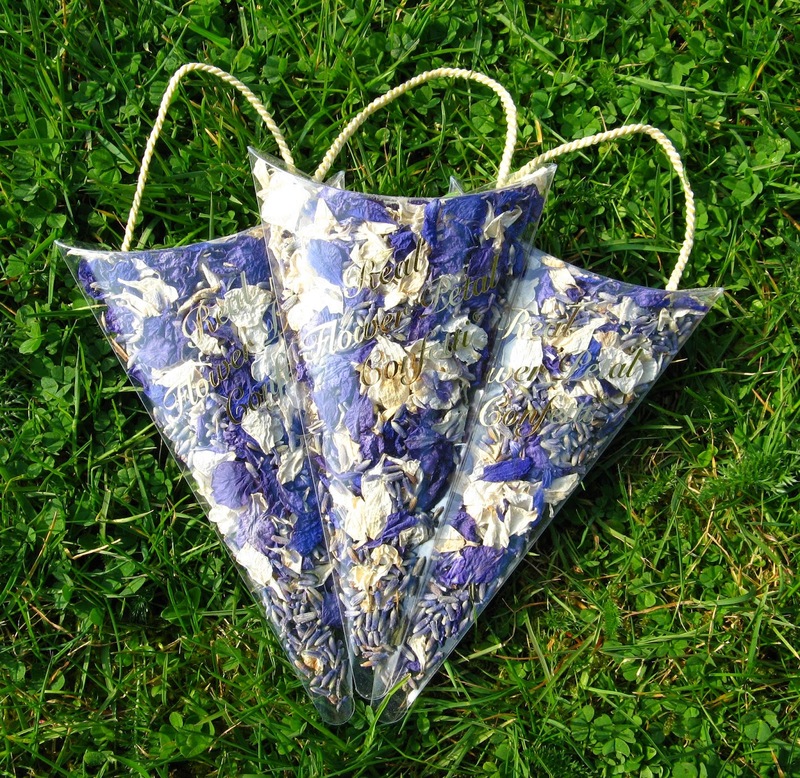 Both the Delphinium and Wildflower petals provide you with an extremely eco-friendly confetti option - not only do they biodegrade as quickly and as naturally as blossom, no fuel except human energy is used in their picking or drying, and they travel less than a mile from the field to our packing office! 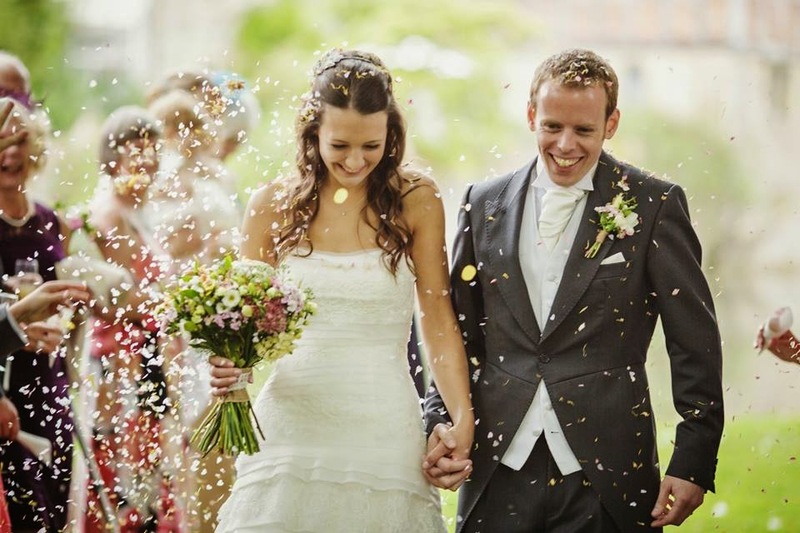 Gorgeous, natural, English flowers - fabulous confetti! Lavender grains add a wonderful scent to your confetti mixes - the tiny grains of English lavender are dark purple in colour so look pretty too! 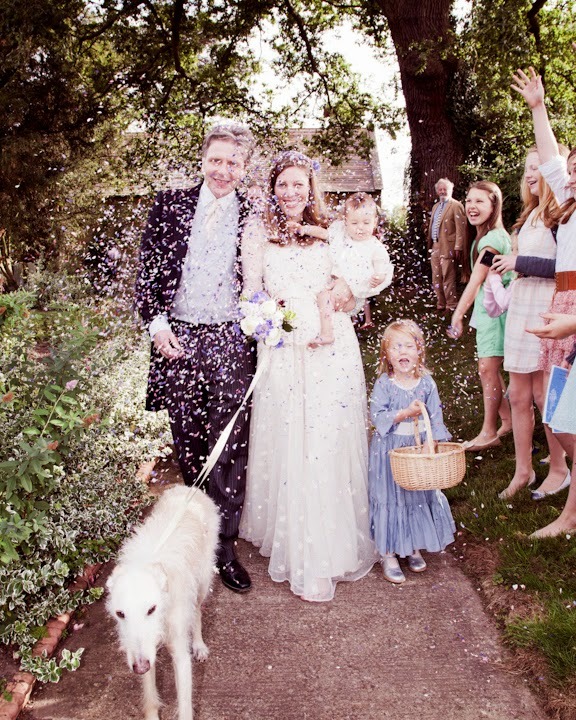 Lavender can be added to our Delphinium and Wildflower Confetti mixes which cost £11.00 a pint. 500g of Lavender costs £16.00. You can also buy a 15g bag for £2.00. 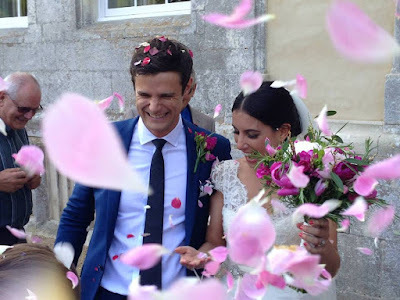 There is nothing more romantic on your wedding day than a scattering of rose petals - so many couples like to use rose petals for their confetti moment too. 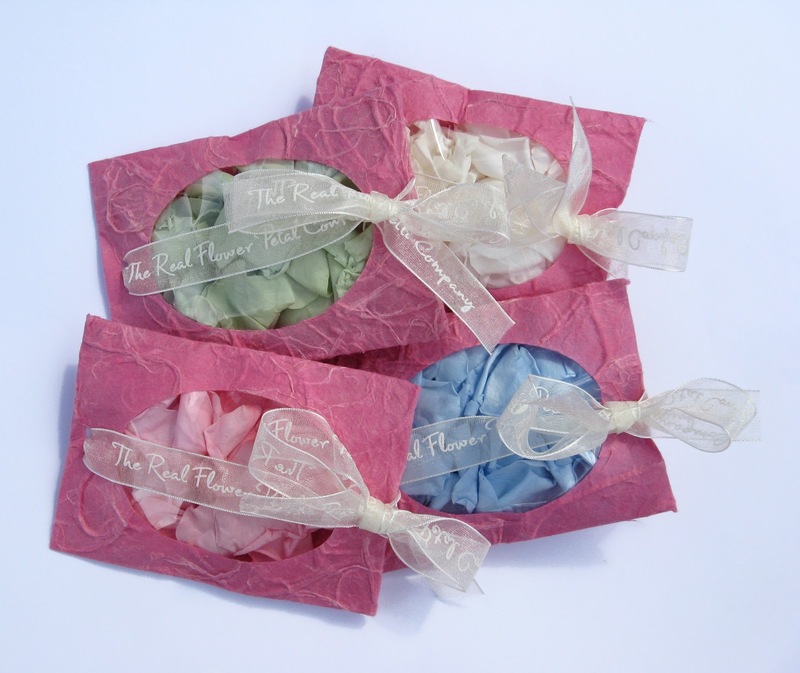 We have three types available - Small and Large Rose Petals and the Coloured Rose Petal collection. We recommend using the Small Rose petals as throwing confetti - they are pretty petals, about 2-3cm wide, that have been freeze dried to keep them looking natural and fresh. We have seven colours available, and you can combine them however you wish! 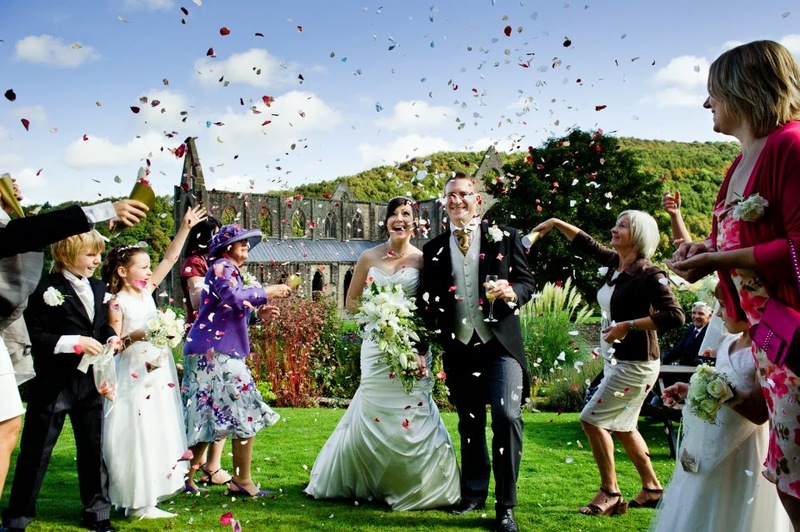 The Rainbow Mix of Small Rose Petals make for a fabulous photo! 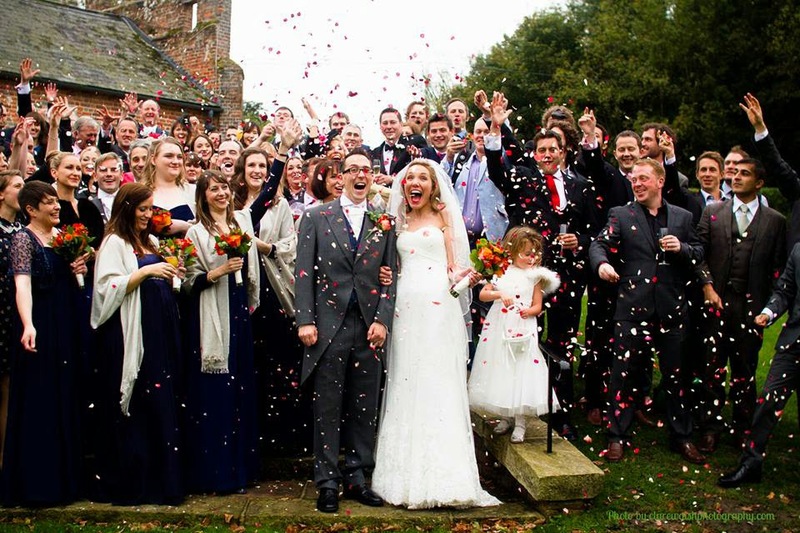 Confetti is all about fun - pick the petals and colours you love! 1 pint of Small Rose Petals costs £11.00. Large Rose petals are also freeze dried and they have retained their natural curl - as if they have just fallen from the stem. 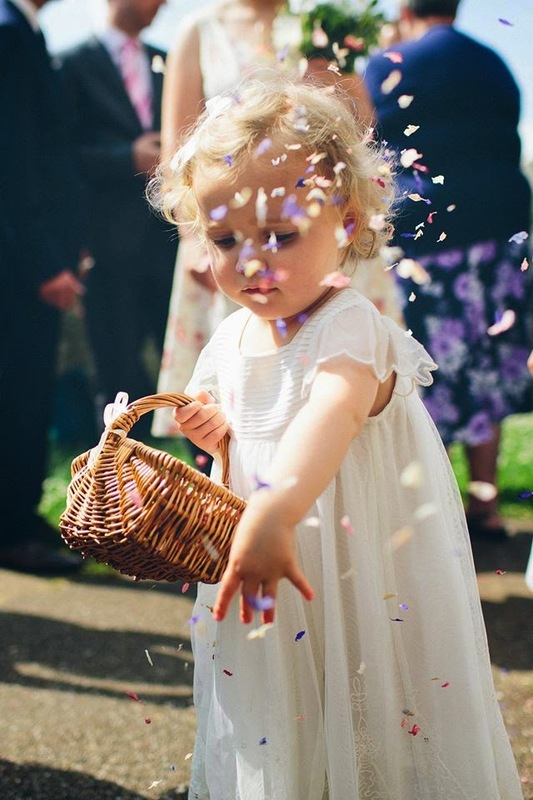 We don't really recommend using them as throwing confetti because the petals are quite large and can be difficult to hold in your hand without crushing them - but you can if you want to - they are gorgeous! Large Rose petals are great for scattering, creating petal aisles and pathways and decorating your venue. We have 8 natural shades available, but we can't mix these colours together. Sunset Large Roses - pinky orangey beauties! 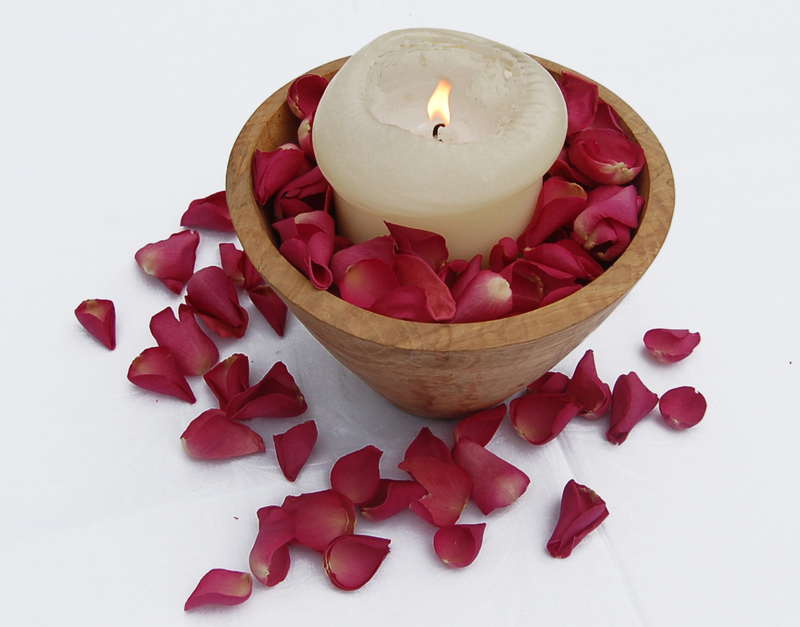 1 pint of Large Rose Petals costs £8.50. 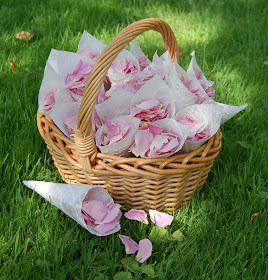 These petals are not suitable for cones, bags or envelopes. Decoration - Light Sprinkling = 1 pint per 5' table. Heavy sprinkling = 2 pint per 5' table. 3 pints are recommended for scattering on a bed or to give a light covering over 1 sq metre. The Coloured Rose Petal Collection is perfect for Brides who want a more adventurous colour of confetti! 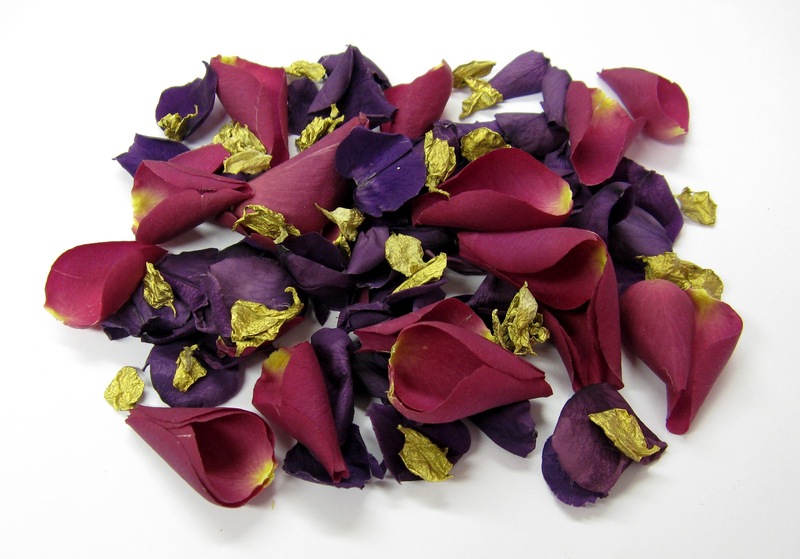 These are real rose petals that have been preserved and colour enhanced - this means we can offer you shades like blue and green that just aren't available in nature! 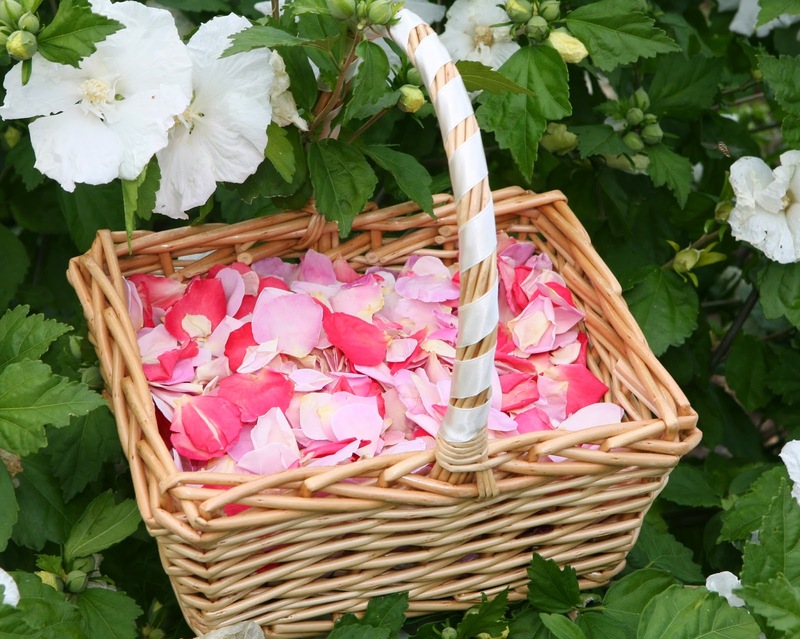 It also means that the rose petals have retained their softness. 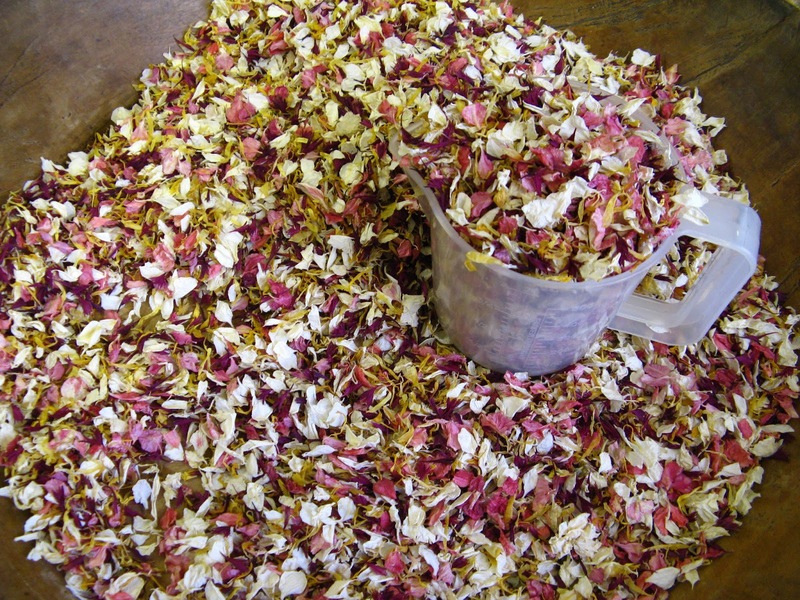 The Coloured Rose petals are dyed, so they might leak colour if they are crushed, get wet, or exposed to high humidity, but with the light colours the risk is very small - we have never had any complaints. 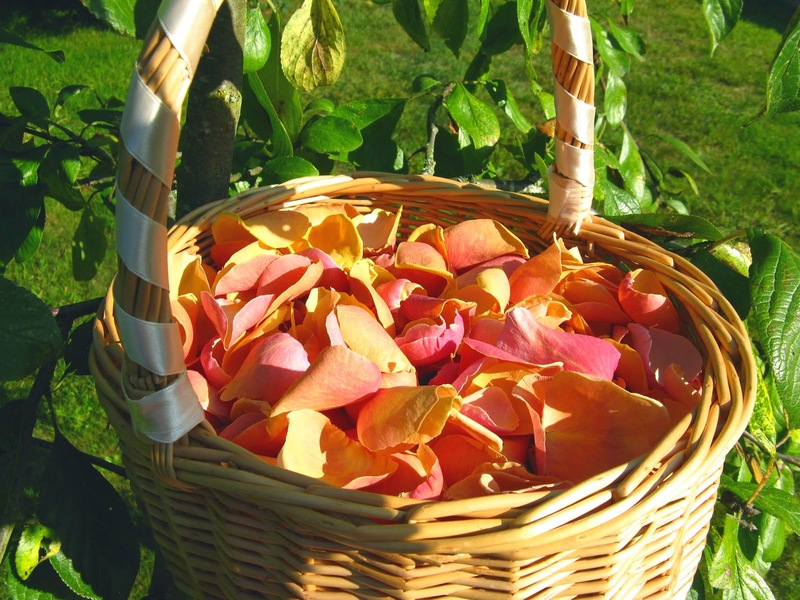 Fabulously bright and cheerful Coloured Rose petals! 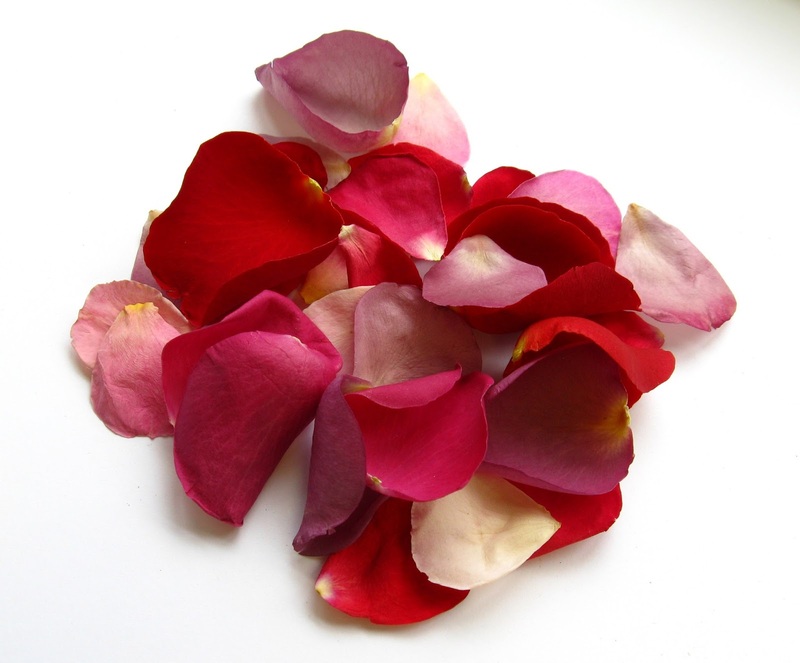 Coloured Rose petals are great value throwing petals - they measure about 2-3cm wide and look lovely in Cones and Petal Bags. You can buy them in a large 4 pint box which is enough confetti for 40 people. 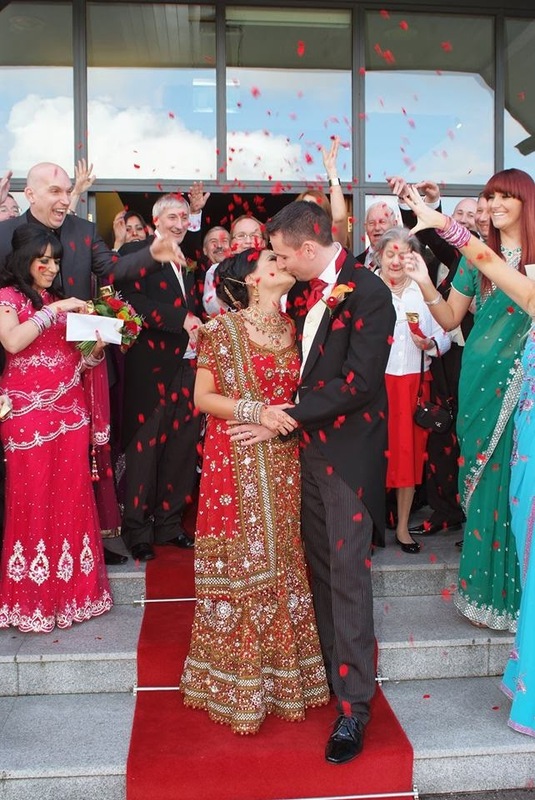 1 pint of Coloured Rose Petals costs £7.50. 4 pint box = £25.00. 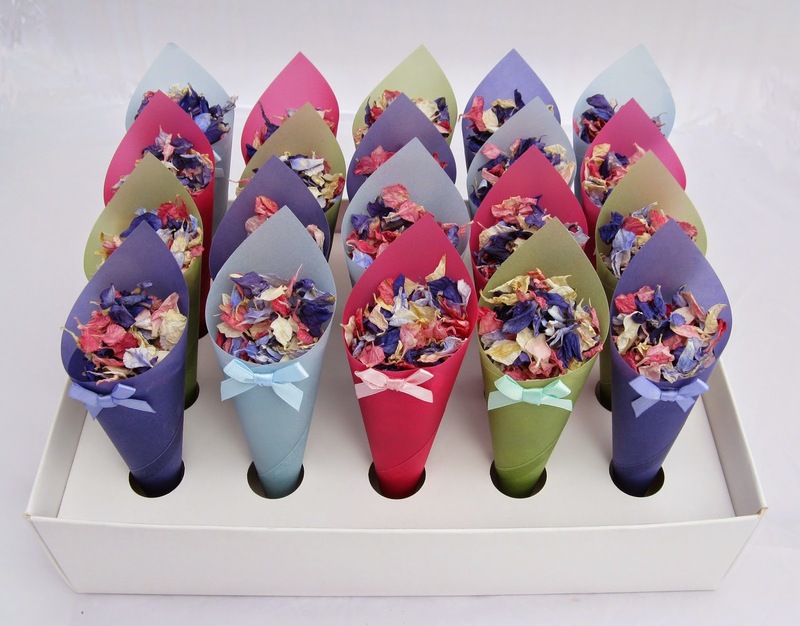 1 pint is 10 closed handfuls - enough for 10 guests - and it will fill 10 Confetti Cones or 10 Petal Bags. 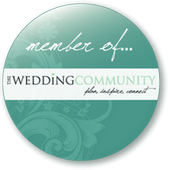 Not all colours are suitable for Confetti Envelopes - please call for a chat if you'd like to do this- 01386 555045. We cannot mix different colours together. 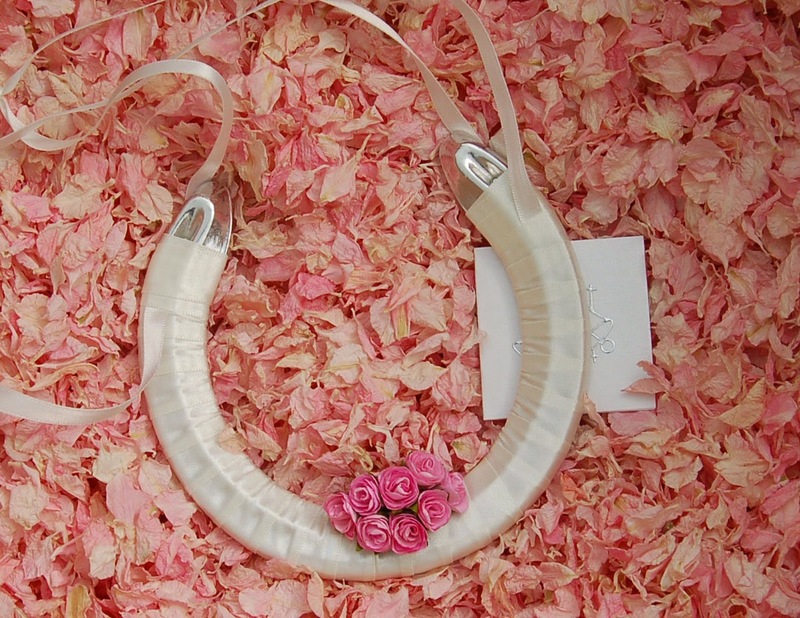 These are super pretty confetti petals - like little flowers! Hydrangeas measure 2-4cm wide and are available in four gorgeous shades - Vintage Lilac, Dusky Blue, Green and White. 1 pint of Hydrangeas costs £8.50. 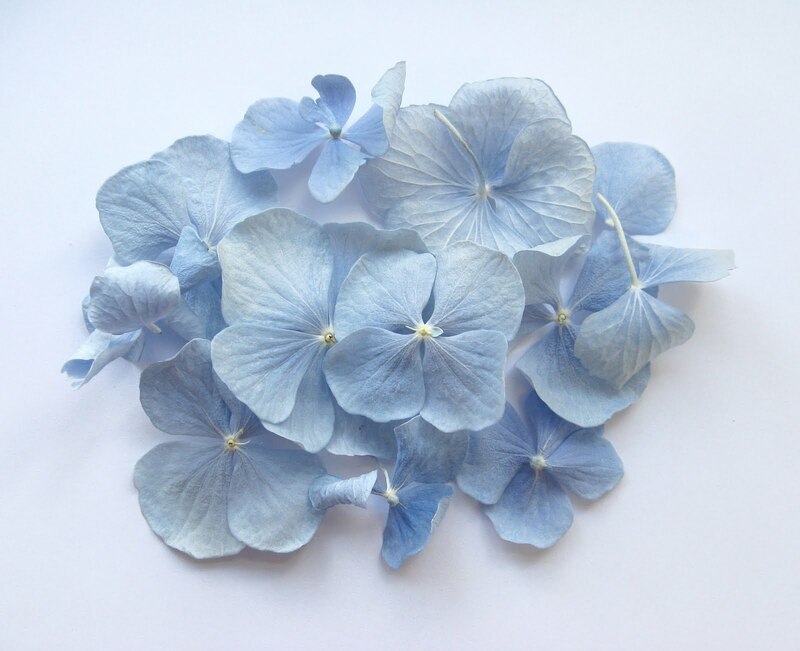 Hydrangea Petal Envelope £2.95 each. 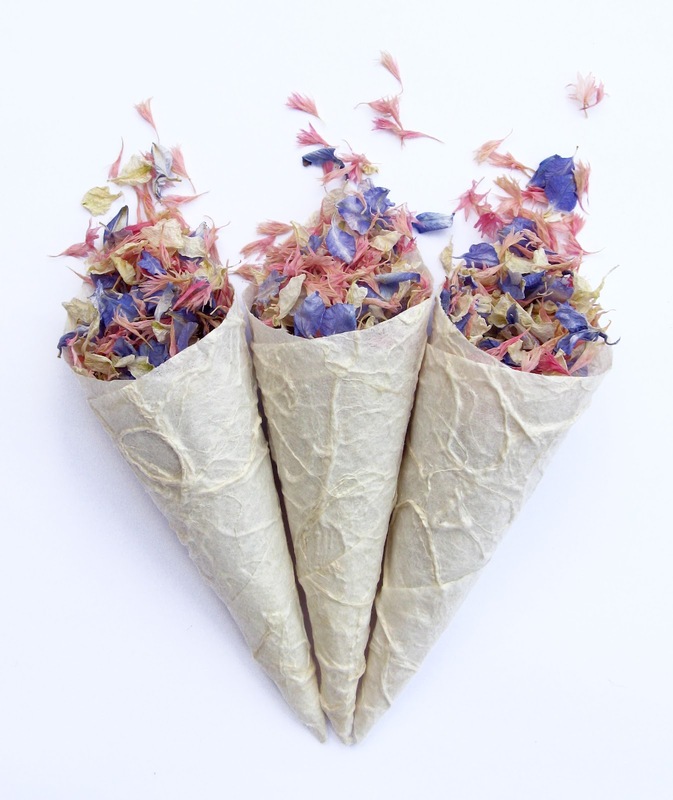 These petals are not suitable for confetti cones or bags. 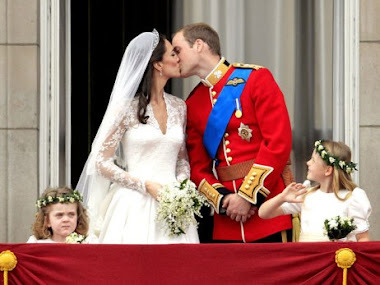 We cannot mix different colours together, but can mix them yourself if you wish - they do look lovely! So the choice is up to you! 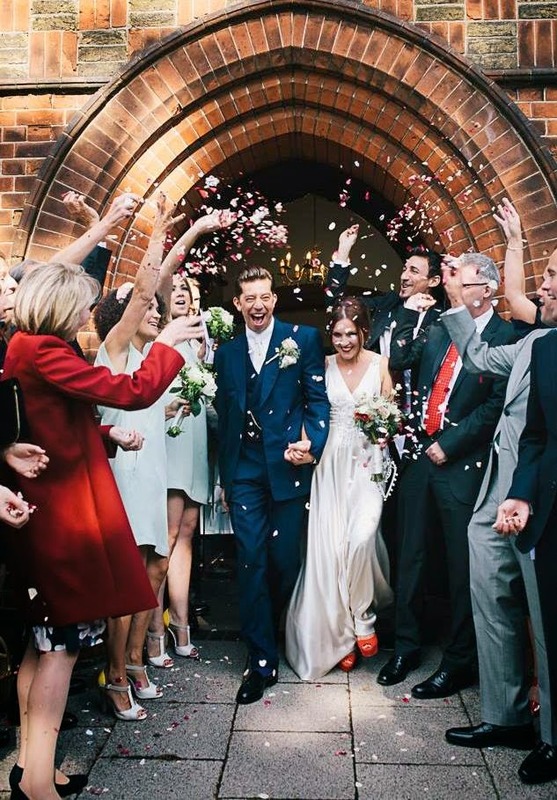 Be as original and unusual, or traditional and classic as you want to be - its your confetti moment after all! 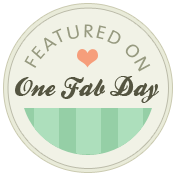 If you need a few more ideas check out our Facebook page and Pinterest for more inspiration – we often post pictures of lovely petal mixes customers have chosen. And please just give us a call if you need some help creating your own special mix - 01386 555045. 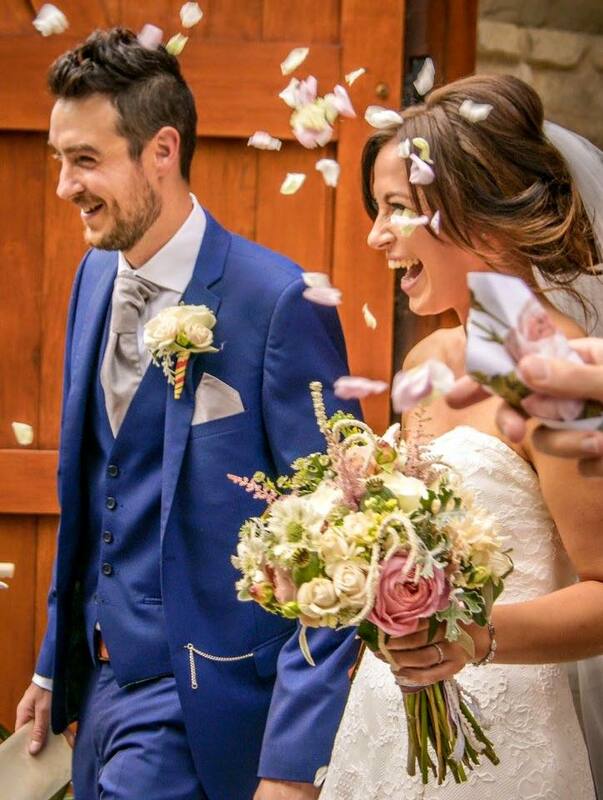 We hope that has helped with your decision but if you still need a little more help why not order one of our bespoke sample packs so you can see and feel the petals and play around with colour combinations? Click here. 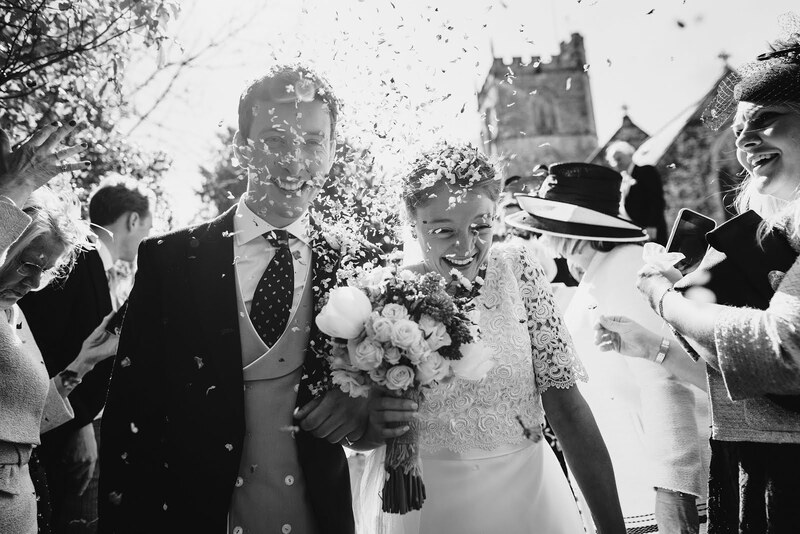 But the best advice is to simply pick the petals and colours you love the most - confetti is all about fun so just enjoy it!